Unlike her sister who saw a new town like a opportunity to party in new places and meet new men Dina saw a new beginning as a opportunity to shape her future anyway she wanted, and what she wanted was to be rich and famous, no matter what it took. Her road to success started at the local spa but Dina gave up on that as soon as she could start in the local office building, there she rose to department head until she realized she could run for city council, and she left that job to concentrate on her new dream – a political career. When she left the company she employed a young coffee carrier, Ebony Brown, from her old firm to be her campaign intern. The two clicked and became best friends as Dina won her first victory and got into Sunset Valley City Council. Dina always participated in neighborhood activities, she wanted people to know her and remember her. That is how she met Nala Sanza, a young musician with colorful clothes and a colorful personality. Two two of them fell in love and married at a big party in the house Dina shared with her sister Nina. Nala was always a big support, and a wonderful companion and the two had a full and loving marriage. As Dina rose in the world of politics Nala rose in the world of music. After several years of marriage they decided to adopt a child, that is how Sara joined their family. Dina never saw herself as a mother but she loved little Sara, she even named a star she discovered after her. At that time however her sister was in a relationship with Dave Ramsay who lived with them and had a child with him, her little Rosie so their home was a little crowded and Dina and Nala decided to finally get a place of their own. 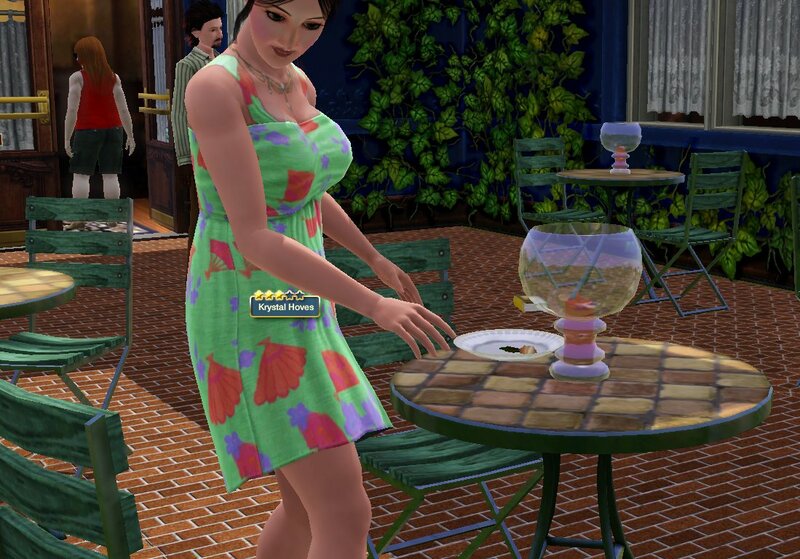 Everything was going great, Dina really found herself in politics, she didn’t have a problem with making tough decisions, she loved to throw formal parties to raise founds for various things, and to dazzle or her coworkers and all of Sunset Valley. Once she even lost notes for a speech and delivered it entirely from memory. The only setback that happened during her career was when her former protege, Ebony, decided to run against her as mayor and won! Next election Dina beat her but the two didn’t stay friends after that, she did stay close to Ebony’s children, her son Hazel, whom she was godmother and her daughter Cocoa. In fact when young artist Cocoa was looking for a place to stay Dina offered their attic, as a home and a studio for Cocoa and Cocoa agreed. She lived with Dina until she got married and had twins. Dina and Nala adopted another child, another daughter, a little girl named Summer, Dina rose to vice president of the country and completed her lifelong goals.She even had her biography written, after which some nasty rumors about her started circulating, but she didn’t care. She was happy. And then she did something wrong… She had a little affair with Mortimer Goth, the word got out, somebody had seen them together at a sports bar, rumors spread and just like that, her marriage was over. Nala moved out and she lives alone with her daughters. Dina did found a new girlfriend, Justine Hooks, but she concentrated solely on work, she ran a campaign and won, despite all the viscous rumors surrounding her, she became the Leader of the Free World. After one mandate however she retired and she is currently enjoying her retirement, although she sometimes volunteers at the hospital. There she was a big help during a gnome invasion and she met a young paramedic, Penelope Belgen who asked her out, but it didn’t go well. According to Tori Kimura, a fellow politician she still has a cheater reputation. 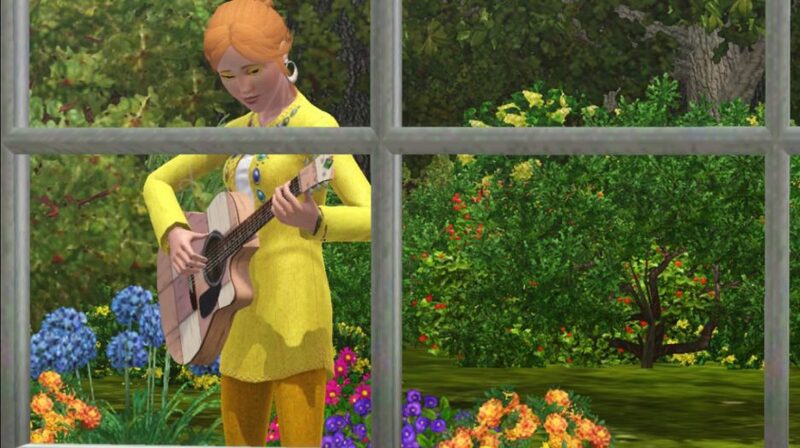 Dina likes hanging out with people, even though she is one of the biggest celebrities in town she still goes to the park to jam with the commoners. Children play pranks on her, like stealing her clothes when she is in a hot tub but Dina pays them no mind, she knows most of the town likes her.She likes plants and working in her garden. After diner at the diner, on her mother, and celebrating her mother’s big promotion Lysa decided she wasn’t ready to go home just yet. She was a still a little mad Dougie had failed to invite her to play Halo with him and Luther, sometimes it seemed she was his second choice, if Luther was busy he would call her, but if not it would be as she doesn’t exist…. She was glad things turned out this way, that finally she could have her own home, a home for her kids and not depend on a lover, or ex-lover as it was of late. Latricia never cooked in her life and she was totally lost as she trotted around an empty kitchen as if some invisible voice would tell her what to do. That didn’t happen. She opened the fridge and saw some fresh vegetables. She conclud ed a salad wouldn’t be too hard and got to chopping. The meal didn’t turn out half too bad, sure she should have eased on the olive oil, or the pieces could have been more regularly cut but she was proud of herself. She even left some for Branden and he didn’t complain, but he never did, he was the happiest little child she had ever seen, the prospect of salad for breakfast excited him. This is the first post detailing the life of the Caliente family. I hope you’ll like their adventures as much as those of other families. to lose her weight. She wanted this for a while now, she knew her mother would approve if she was more fit and better looking and now that she was seeing, or whatever it was, she was doing with Leighton Sekemoto she wanted to change her look, he was an athlete and she doubted he would go steady with a chubby girl like her. Sunday morning at t he Hoves’ household was spent discussing their last night brake in. Krystal made breakfast and the attempted burglary was number one on the menu. Laquita’s father acted as if it was no big deal, the fact that he overpowered a young woman who tried to rob them in the middle of night, Laquita’s mother was besides herself from shock that things like that happen even in nice little towns like Sunset Valley, Krystal was worried for dad, because even though he laid most of the blows he received some as well and Irene, as usual was curious. Krystal never did this. Obeying the rules was number one in her book but today was just such a nice day and she wanted for once to go out and have lunch in a nice place, all dressed up. Of course if she did in during lunch hour the place would be crowded and she couldn’t eat alone, somebody she knew or who knew her would come to her table and she would be forced to have a conversation, that is why she ditched her afternoon classes and went to eat alone. The kids were happy anyway, they could go home earlier, so no harm done.